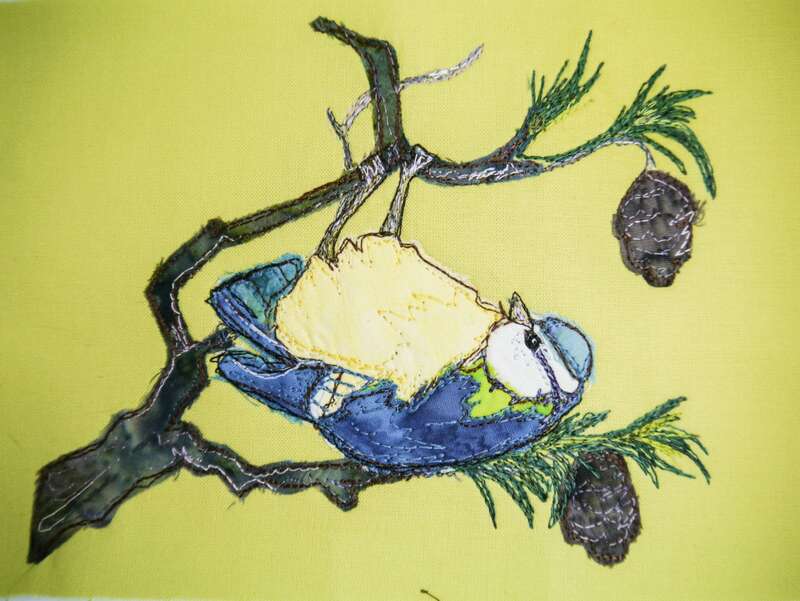 This pattern contains the templates for my Bluetit and pine cones design along with plenty of colour photographs through each step. 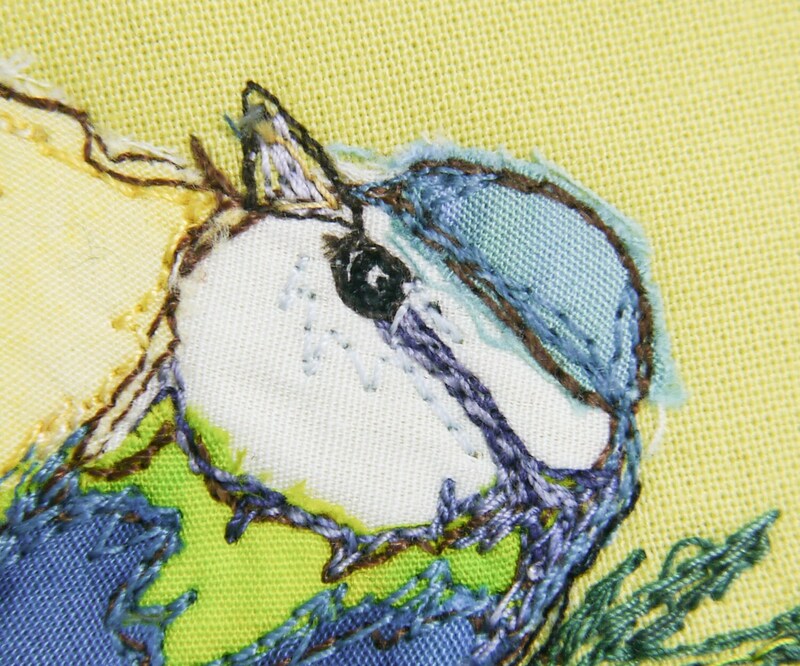 There are two sizes in the pattern, the standard one for the size I sell as a finished product (7.75 by 5.75")and a larger one with a finished size of 11.5" by 8.5" which would be ideal for beginners or for use for hand embroidery or needle turn applique. The pattern doesn't give details for those technqiues but you would be very welcome to use my patterns to try those methods.